I think October 1st was a good day for Carers. Over 180 Carers went to the Scottish Parliament and shared the Carers story. They spoke of the issues they had just managing to live and continue to cope day to day in most cases. 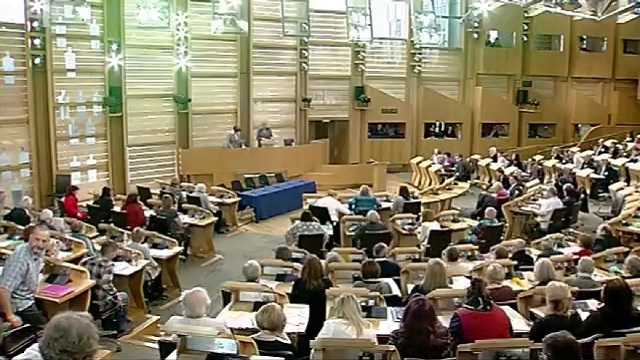 It's published on he Scottish Parliament website and I'm at around 40 -50 minutes in (debating chamber part 1). I was in the morning debate, I explained that I'd been at both ends of the spectrum, being totally unsupported and struggling on alone for over twenty years, then through the long journey to where we are now with our Direct Payment and SDS to a feeling of value and support being in place. I hope my message was clear, we need legislation! It's not fair and should never be based on how supportive your Local Authority is or even your postcode! All Carers need effective support and access to respite on a regular basis and it should be their right! I hate the way Carers usually have to fight for everything and at a time when they're feeling under pressure and really low it's just not acceptable they are left floundering around searching for help! I saw some Carers I met a little over three years ago, when we held the last 'Carers Poverty Protest' in Edinburgh. Worryingly, where things had improved for me and Coo with our Direct Payments and SDS set-up, things had not improved at all for them and they were still struggling on alone even now three years on! While things are improving for some Carers, myself included, there remains so much more to be done! The vast majority of Carers attending on the day did not have adequate support in place or any access to regular respite, or even any respite at all! Infact some Carers admitted, if the Scottish Parliament had not paid for replacement care for the day, they would not have been able to attend and speak out at all! Respite is still out of the majority of Carers reach! We really still have a ways to go don't we and we must keep the pressure on that's for sure!